Would-be Pokemon Masters can cancel their international travel plans: you don't actually need to go abroad to catch all of the game's region-exclusive Pokemon. Both the BBC and Eurogamer have spoken with players who have caught one or more of the foreign creatures while never leaving their home region. It appears that all four of the exclusives - Tauros for North America, Mr. Mime for Europe, Farfetch'd for Asia, and Kangaskhan for Australasia - can be hatched from 10km eggs, which are somewhat rare themselves. Still, it's a lot easier to walk around your hometown than it is to travel to Japan just to capture a duck holding a leek. And please don't try to cheat the egg hatching system by taping your phone to a ceiling fan. Even with the four regional exclusive Pokemon caught, that still only adds up to 145 registered Pokemon. Pokemon Go's Pokedex includes slots for Ditto and the three legendary birds (Articuno, Zapdos, and Moltres), but it doesn't look like there's any way to catch them yet. And No. 150, Mewtwo, doesn't even have a slot yet. Mew? Fuhgeddaboudit. We'll just have to wait for Niantic to patch them in. 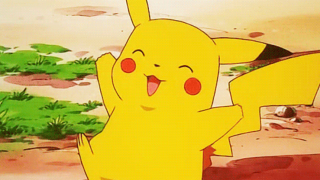 Speaking of patches, the developer also plans to add Pokemon trading in a future update. Since you only need to possess a Pokemon once for it to permanently appear in your Pokedex, that should be a handy way for region-exclusives to spread out. International airport terminals may start doubling as Pokemon bazaars very soon.